There is more to owning your own home with a lawn that needs to be mowed. You may find the option of homesteading may be an ideal solution for many reasons. One important aspect about homesteading is you will be providing your own means of getting food. This includes milking cows or goats, to fresh eggs from a few chickens, to growing a garden. If you want more organic foods and to be more self-sufficient, then start homesteading to meet this goal. Convincing yourself to start homesteading is the first step. There are many modern conveniences today that make homesteading seem antiquated and inconvenient. However, the popularity of foods that have been organically grown is changing this perception. 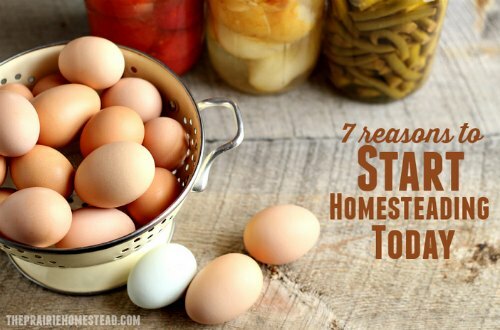 If you are interested in doing this then make a list of ways to start homesteading. There are many things to take into account before you start homesteading. This is not something that is achievable without the proper preparation. You will need a place to house any animals, such as shelters in the form of sheds and any barn structures. A chicken coop may also be needed. Research the structures a typical homestead may need before jumping into this project. You will see there are various benefits when you start homesteading to meet all your needs. There is money that will be saved on buying organic foods that are typically pricey. You also will not have any need to make a special trip to the store for milk or eggs. The way you start homesteading will be based on your needs and preferences. The best thing to do will be to start small and increase as you get more experience. You can begin with chickens or get a goat. A good idea is to start with a few basic farm animals that do not need a lot of maintenance.